Scalability is a key attribute of storage systems, especially in cloud environments. 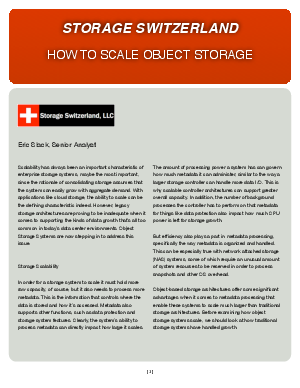 Aside from expanding physical capacity, scaling a storage system means handling more metadata, the critical information about where data is logically stored. Metadata grows along with the data itself and processing it can become one of the limiting factors to system scalability.